If you have gone through the intense canvasing sessions of life insurance policy sellers who knock your door or dial your number every now and then, the term life settlement may seem relatively infamous term for you. On contrary to your belief, a life settlement is an arrangement wherein you sell your life insurance policy to a third party. Once you sell your policy for cash and the buyer starts paying the premiums on your behalf. This means, when you would pass away, the third-party buyer would get the death benefit. Striking a deal with a life settlement company is a better option than going with a life settlement broker. Choosing the best among both by comparing the loss and benefit makes an insurance holder a better life settlement investor. Even though brokers have all right to sell life settlements, they tend to look for more profit than life settlement companies. Also, it is easier to find a reputable life settlement provider than a trusted broker. With that being said, here’s how to choose the right life settlement provider. Life settlement providers can function only with a valid license. All life settlement companies have to apply for license in their particular State to work. Checking the license of the life settlement company can help you determine whether the company is regulated by the state or not. Ascertaining the validity of the life settlement company also give you an idea about the limit of the company in dealing with the policies up to a certain value. The licensealso authenticates the reliability of the life settlement company. Over a period of time, companies get a diverse range of professional experience. This means the firm would have more experience in dealing with diverse clients and facing various problems. Thus, with time and experience, an organization can function more smoothly. If you want the process of selling your life insurance move hassle-free, look for how long the life settlement providing company has been in the industry. Though it is highly unlikely that a foul play would occur when selling a life insurance policy, people have their own doubts and insecurities. The safer you are, the better it is for you. There hasn’t really been any foul play reported yet. However, since the buyer gets benefited once you pass away, you wouldn’t want to take any risk. Thus, check for the legal record of the life settlement and make sure you make safe transactions with the company. After buying life insurance from policy holders in return for cash, the Life settlement companies sell it off to someone else. Sometimes, the life insurance policies are sold in bundles and the other times they go to an individual as well. 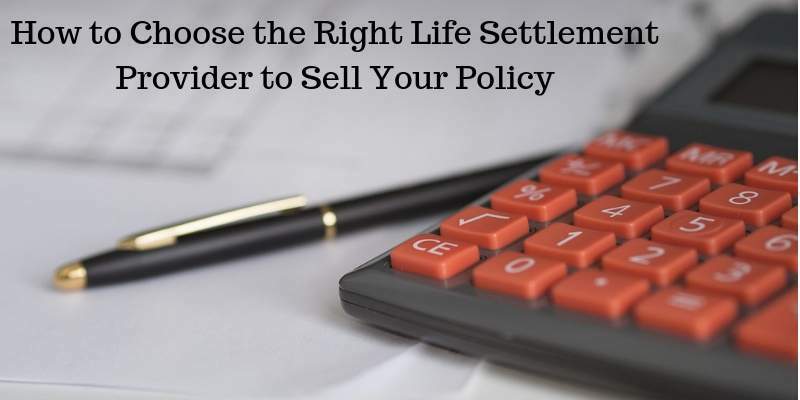 Since your policy is again being sold to a new person, you should inquire about the life settlement company about the buyer. For safety reasons, it is important that you demand the life settlement providing company to keep you updated as to whom they are selling your life insurance policy. Life settlement providing companies don’t just cut off the strings after they buy your policy. For them, it is really important to keep a record of your medical status. However, this should not come at your inconvenience. Life settlement companies would make calls or send emails from time to time. To make sure it doesn’t become a disturbance, ask them how often they would contact you. Besides that, you should also ask them what mode of communication they plan to use for contacting you. Whatever medium they choose, you have the liberty to negotiate it with them so that it fits your comfort level. While this is not much of a problem, it is to make sure that their calls don’t become a nuisance for you. As you deal with a life settlement company, you have to provide them with certain information. Generally, life settlement providing companies look for information pertaining to your policy and medical history. This information helps them arrive at the total worth of your policy and finally come up with an offer. However, since the information that you share is personal, you should make sure the information is kept confidential. This is why, before you provide the company with any information, make sure you get them to sign a confidentiality agreement so that all your personal information stays safe and secure with them, and nobody else can access to it without your authorization. These are some of the points to keep in mind while choosing a life settlement providing company. Besides these factors, you can also get quotes from various companies and see which gets you a better deal. However, don’t overlook the above-mentioned points when you are choosing a life settlement company. Since life settlement investors buy your life insurance policy for money, safety, security, and credibility matter a lot.